The Pnei Yehoshua, on Kesubos 111a, asks how the oath on the nations of the world fits in with the verse "do not arouse or awaken the love before it is desired" which refers to the redemption of the Jewish people. He answers that if the nations afflict the Jews too much, they will cause the Holy One, blessed is He, to hasten to bring the redemption before its time, as we find in the case of the Egyptian exile. Even then, it will be Hashem bringing the redemption early, not the Jews on their own as Zionists claim (that once the gentiles violate their oath the Jews may violate theirs). The Pnei Yehoshua also asks how the oath against revealing the secret to the nations (one of the six oaths derived from the verses in Shir Hashirim) has to do with the redemption. He answers based on Rashi's second explanation, that "the secret" refers to the reasons behind the Torah. When the gentiles learn the reasons and secrets of the Torah, they will come to recognize the great love between Hashem and the Jewish people, and they will then stop ruling over them and will arouse the redemption before its time. Thus Chazal with their holy inspiration foresaw today's situation, where 85 million Christians are strong supporters of Zionism and push the Jewish people out of exile prematurely, all due to the fact that they have read the Torah and recognize that the Jews are Hashem's beloved people. In Kesubos 110b, the Pnei Yehoshua brings the Gemara in Yuma 9b, which says that Reish Lakish was swimming in the Jordan River, and Rabbah bar bar Chana came and offered him a hand. Reis Lakish said to him, "By G-d, I hate you! For it says, 'If she is a wall, we will build on her a fortress of silver; and if she is a door we will fashion upon her a plank of cedar' (Shir Hashirim 8:9). If you had made yourselves like a wall and come up, all of you, in the time of Ezra, then you would have been compared to silver, which does not rot. Now that you have come up like doors, you have been compared to cedar, which does rot." Some Zionists understand this to mean that Reish Lakish disagreed with the Three Oaths. He held that there would have been nothing wrong with all the Jews returning from Bavel. The Pnei Yehoshua concludes, "It is not a unanimous opinion and there are conflicting Agados." However, the Pnei Yehoshua writes this only because he learns that the Three Oaths took effect at the beginning of the Babylonia exile, after the destruction of the First Beis Hamikdash. That is when the verse "they will be brought to Bavel and remain there" was said. The permission granted by Koresh was not a real redemption, he says, and that is why the majority of Jews did not respond to it. They were waiting for the true redemption with moshiach. This is similar to the Ramban in Sefer Hageulah. Accordingly, he says, Reish Lakish must disagree with this Gemara in Kesubos. 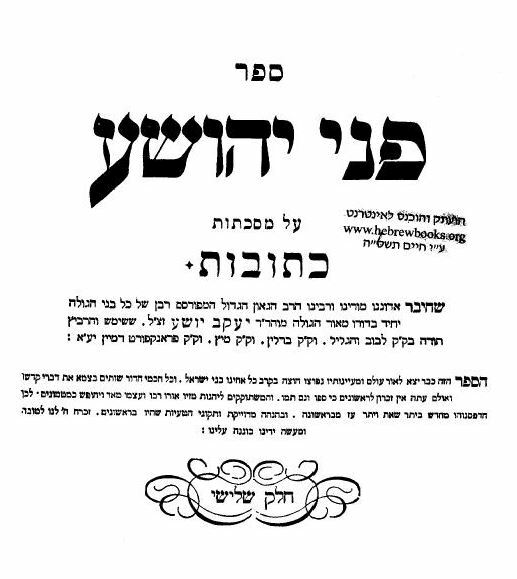 But Reish Lakish still agrees to the Three Oaths and would say that they went into effect after the destruction of the Second Beis Hamikdash.